Yup, the rumors were true. 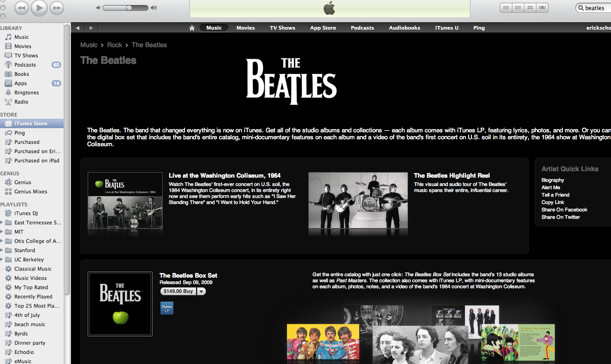 The Beatles are finally on iTunes. Apple is going to announce it this morning, but the albums are already live in iTunes. Here is the preview link. There are 16 albums available, starting with Please, Please Me (1963) and going to The Beatles, 1967-1970 (1973). Most of them albums $12.99. Individual songs are available for $1.29 each. There is also a box set for $149, and video footage, including a concert from 1964. The Beatles were one of the last major holdouts not to go digital. Now a lot of people are going to be re-buying the Beatles albums they already own because it is much easier than ripping a CD or, worse, converting from tape or vinyl. Now, where is that Yellow Submarine iPod? 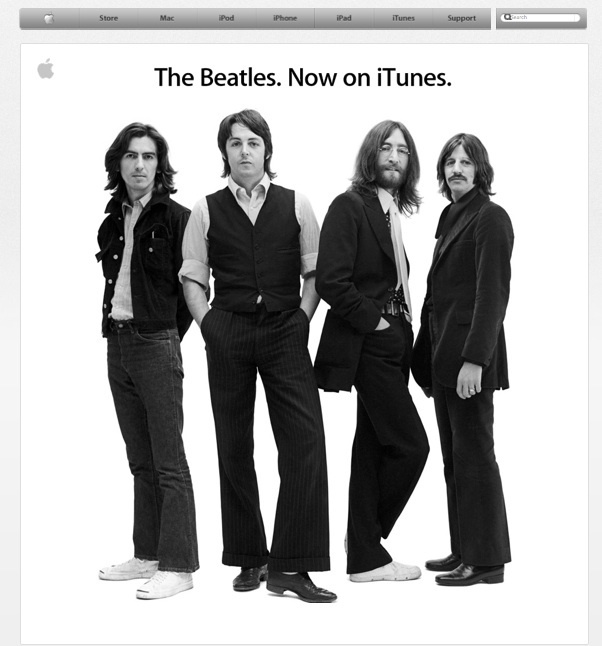 More: The Beatles Invade Apple. Take Over Website, iTunes, TV Ads, And Yes, Even Ping.